I’ve talked here before about the big wind that visits around A Bitty Better in the Galeville neighborhood of Liverpool. When I got home from work at the library on Friday, it was acting up again. How best to show the gale of Galeville, I wondered. 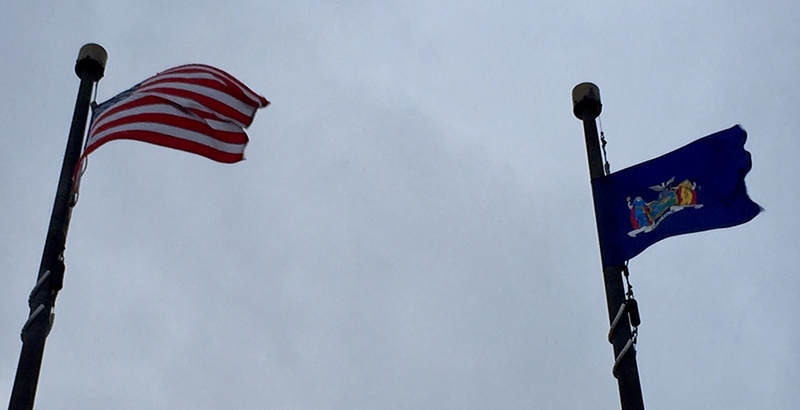 I saw and heard the flags outside the Salina Town Hall from my front door. I walk closer helps you get the point, I hope. 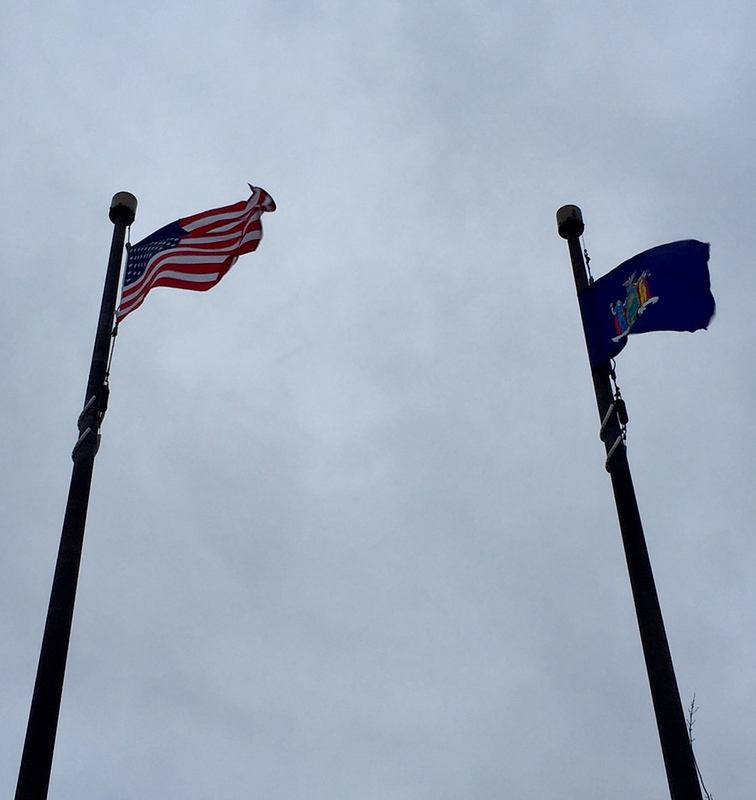 The flags of America and New York State flew quite proudly. It’s breath-taking all the way around. What’s the loudest wind you’ve ever heard? Where does your favorite flag fly, and why? Oh, I just got that: GALEville. Because there’s a lot of wind. Silly me. And that’s REALLY the name of our neighborhood, Cynthia. So handy. I guess the highest wind I have heard was being in the proximity of multiple tornadoes in the 1993 Storm of the Century in Florida. We hid in an interior closet all night with a mattress over us. It sounded like freight train after freight train going by. However, in my backyard, the highest wind gust we’ve experienced here in our new home in Oregon has been above 50 mph. That tornado hide must have been truly frightening, Kathryn Grace. I’m so glad you’re here to write about it, my friend. Good observation, Beth. They were blowing sideways!